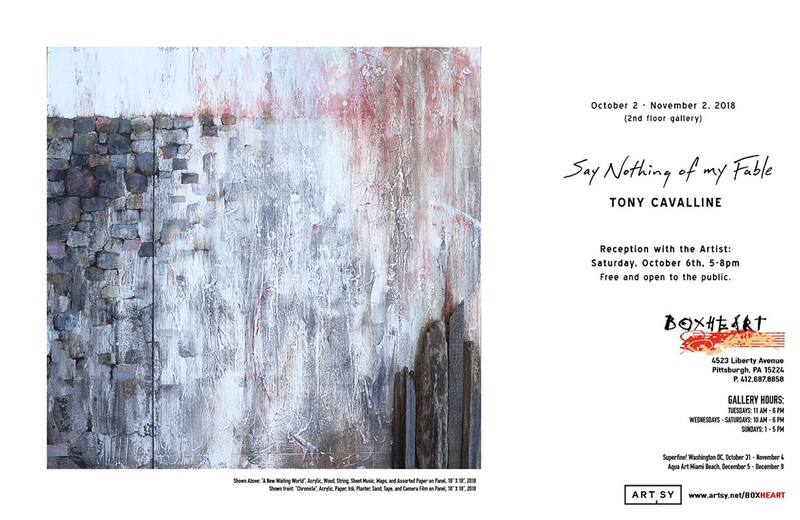 Tony Cavalline: Say Nothing Of My Fable will be on exhibit from October 2nd through November 2nd in BoxHeart’s 2nd-floor gallery. The exhibition coincides with our main gallery exhibit, Sherry Rusinack: The Variety Show. The reception with the artists will be held Saturday, October 6th from 5 - 8 pm.